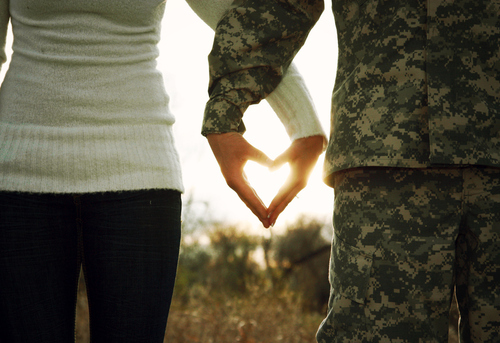 LOVE is a strong feeling, but when mixed with patriotism, it’s the strongest thing one can ever feel, which is why, our brave and courageous war-heroes aren’t afraid of anything! On this independence day, this short story is my small attempt to THANK our fearless soldiers for keeping us safe and sound on the cost of their lives. Jai Hind! MARTYR: A person who is killed because of his religious, or national, or other beliefs. The poetry was sad and depressing. Ahmed kept the diary back on the shelf, thinking of it to be a lost property. The colonel called him again for a check on all the injured Indian soldiers. He took a brisk walk towards the tattered camp, and witnessed so many dead bodies, lying around like a pile of yesterday’s stale food, which had no significance today. His heart skipped a beat, as he saw some injured Indian soldiers fighting and struggling for their lives in those filthy camps on the Jammu and Kashmir border area. The bombing was over, but the war was still on. Just like the Indians, the Pakistanis had also captured some prisoners of war, and those surviving with difficulty were one of them. ‘Please…’ someone from the camp spoke up. Ahmed rushed in to check who it was. It was an Indian captain, the name plate was not present, his uniform was torn from places and his right leg was completely dismembered due to bombings. He had some serious injuries over his chest and shoulder area, but still, the man was strong enough to talk. ‘What happened?’ Ahmed tried to behave coldly and stone-heartedly. ‘Kill me…’ the Indian soldier, spoke up with dignity. He knew that living here would mean a disgrace to his own nation, and he would be considered a traitor. ‘I can’t. I have orders to keep you alive.’ Ahmed was a junior official, he didn’t know much about the rules and regulations as he was new in the Pakistan-Army, but all he knew was, disobeying his seniors could cost him much more than he could imagine. He got up with an emotionless face, and walked out of the camp. ‘Major, a captain in the camp is asking me to kill him. He’s badly injured, and I don’t think he’ll survive farther than today…’ Ahmed courageously spoke up. The Major flared up, and ordered him to keep his suggestions and remarks to himself. He was still a junior and had a lot to learn, providing suggestions to the senior officials wasn’t his job. Ahmed immediately shut up and walked back to his duty, of keeping a check on the captured Indian soldiers. In the evening, he was back to his own tent, and he again picked up that lonely diary from the war. He flipped some pages and reached to page number 75, from where he left in the evening. ‘Dinner is ready!’ the cook called out everyone from their camps, and Ahmed ran down, shutting the diary closed and keeping it safely in the inner pocket of his coat. After the dinner, he couldn’t wait to rush to his tent and once again start reading the diary, but he heard some noises from the camps where Indian soldiers were captured. They were too weak and injured to resist, then what was all this sudden noise about? Everyone was busy in dinner, at one corner, but Ahmed rushed down towards the camps to see if everything was alright. As he entered tent number 12, he saw that same Indian captain who was pleading to kill him, crawling down on floor with his half cut leg, and badly bleeding injuries. ‘Why are you saving me? Call some of your heartless men, who can just kill me in one go, why are you always around?’ The captain was irritated with Ahmed saving his life again and again. ‘I don’t know anything, you’re supposed to rest, that’s all I know!’ Ahmed put him back on his bed, and covered him up. He again pierced the syringes into his veins and covered his chest with some band aids. Ahmed chose to remain silent. He knew, talking with a Prisoner of War could be dangerous, and moreover, his seniors would fire him anytime now, as he had already done so many blunders. As he was about to leave, the diary fell on the floor, making a sound that woke up the captain. ‘Where did you get it?’ the captain asked. Ahmed was awestruck for a moment. The captain who was pleading him to end his life, had a newlywed wife at his home, still his love for his nation dominated his love for his family. ‘Yes, it is. On the front page, there would be my name, Captain Mohan Pratap Singh.’ The captain spoke weakly. All his memories of his bride were fresh now, a tear escaped his eye, and he turned his face to the other side to avoid the Pakistani soldier’s sight. Ahmed flipped over some pages and reached the front cover, he was right, Mohan Pratap Singh, was embarked on the diary and even the date was mentioned, which was barely 3 months ago. ‘Last month, why?’ Captain asked angrily. He wanted the guy to kill him, instead of torturing him more with his past. Ahmed didn’t speak anything, but silently walked out. He stood outside the tent and the captain himself didn’t say anything. Ahmed turned to page 75, from where he left and started his poetic journey once again. The only difference this time was, the writer himself was lying injured and on the death bed, in front of him, which was making it all the more difficult for him to read further. He cried and read, and cried again. Soon, he reached the last text of the diary, at some pages there were poems, at some, small textual paragraphs. As Ahmed finished reading the last line, a feeble squeal was heard and he rushed inside. The Captain was lying on the floor with his hand on his heart. He died the death of a true martyr, sacrificing his life for his nation, and serving his purpose. Ahmed informed his senior officials about his demise, and they scolded him for not doing his duty properly. It was a dim lit room, with just one window covered with curtains, barely allowing any light to come inside. A woman, in her mid-twenties was sitting on the bed, with her head held in her hands. ‘Roshni, daughter…there’s a parcel for you…’ her mother-in-law called her. She walked outside slowly, wiping off her tears and pushing back memories of her deceased husband, Captain Mohan Pratap Singh. It was a big envelope, addressed to Roshni. As she saw the sender’s address, the parcel fell off her hands. It was from Karachi, Pakistan. She started crying badly, knowing that the war ended the life of her husband. But she was also the widow of a martyr, knowing the honour of such a title, made her feel proud inside, and she accepted the parcel with dignity and pride. Inside, in her room, she opened it, and found an old, dirty looking diary, covered in dust and torn from several places. She opened it up, it was from Cpt Mohan Pratap Singh. Her eyes were glued to the name of her husband, written in his own handwriting, she kept admiring the name for next few minutes, and flipped the pages further, to find out his daily stories. The poems he wrote in her love, the little things he noticed about her. How much he loved her and how much he cared for her. As she finished reading the last post, she found a letter crumpled untidily, hidden in the sheets of diary stealthily like a secret message. ‘I’m a Pakistani soldier, who found this diary lying unclaimed on the land of Pakistan. I didn’t know that I would be so connected to it, by reading a few pages. But I was, and I witnessed Captain Mohan Pratap Singh, when he was taking his last breaths. It would be hard, imagining that someone, you dreamed your entire life with, is no more. But I’m writing this letter to tell you how great your husband was. He loved you and your country more than anything. I saw it in his eyes. Before dying, if he uttered something, it was Roshni, and Jai-Hind. Although you may think of us as traitors and terrorists, but we are also people like you, we also have families. Your husband’s love for you was something, which forced me to parcel back this diary to you. Because you’re the person who needs to know, how lucky you are to have a husband like Captain Mohan.